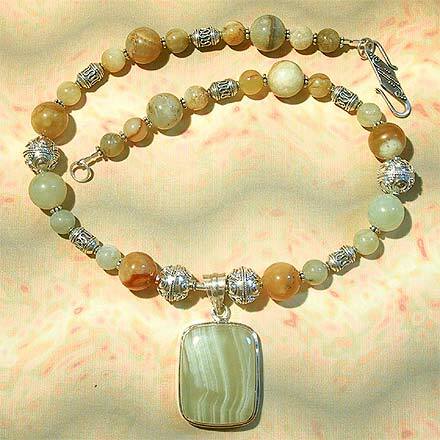 "Little Golden Suns, Little White Stars"
Sterling Silver Golden Onyx Necklace. See Closeup. I just love the golden tones of these natural earthtone Onyx beads in this jewelry set...they're like little balls of golden sunshine. The earrings are highlighted with bright white Bali silver stars. 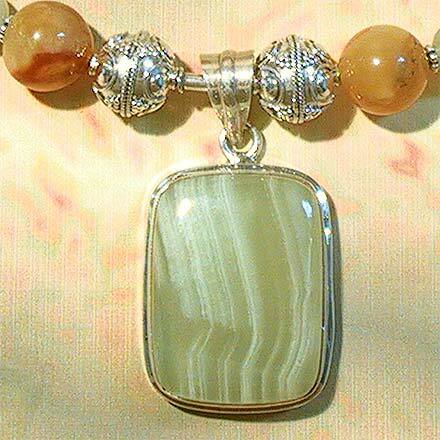 The Golden Lace Onyx pendant is 1.9" hanging from a 17¾" necklace.